A small number of poorly configured connected devices can cause a signaling storm, degrading an IoT network’s performance and, in the worst case, resulting in a network blackout. 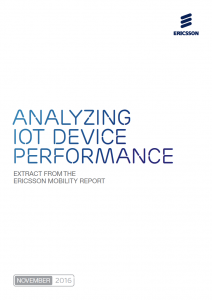 “Analyzing IoT device performance” is an extract from the Ericsson Mobility Report, which was made by Ericsson in cooperation with Telenor Connexion. Click to download here.